When the Hindenbork inevitably explodes, will people cry "Oh the Orc-anity!!" Though it's been a year since it's somewhat rocky release, Black Forest Games hasn't given up on their run-n-gun roguelite, Rogue Stormers. A recent update, "The Rise of Hindenbork," has not only added new content, but also made some slight tweaks to the way experience works when playing with a friend locally. When we looked at Rogue Stomers last year, we saw a title that had a lot of promise if the developers decided to continue supporting it. While it's been some time since we checked in on things, that's exactly what Black Forest Games has been doing in the past year. After the console version was out the door back in October, much of the development team's efforts seem to have gone into fixing some of the bigger sticking points. One of those was how experience was earned when playing locally; specifically, players other than "player one" couldn't earn experience at all. With the "Rise of Hidenbork" update, though, they've changed that. Now all players will earn character XP, which counts towards unlocking new perks/abilities for a character, when playing locally. This only applies, however, if each player is playing as a different character (no doubling or tripling up). Unlocking those characters was another issue as it was far more of a hassle then it needed to be. Now, characters will unlock based on the total amount of gold you collect, with all characters becoming available once you've amassed 5,000 gold across multiple playthroughs. Add to all that a new level, a new enemy, new upgrades, and a new boss, and it may be worth revisiting this game in the near future. 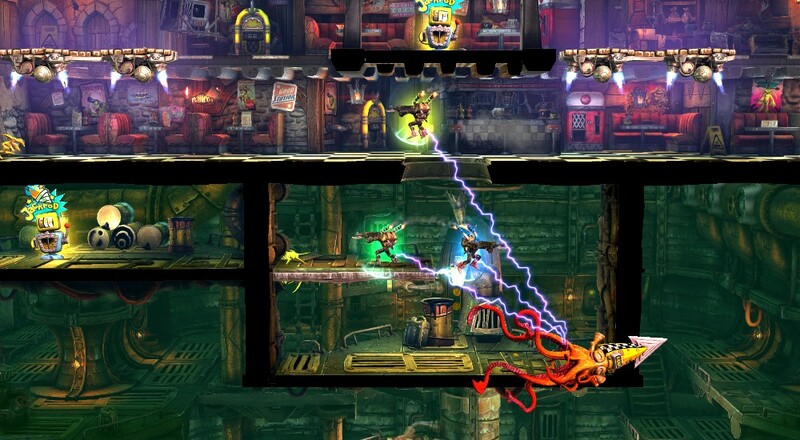 Rogue Stormers is available on PC, Xbox One, and PlayStation 4. The title is currently 85% off on Steam, which includes the 4-pack so you can pick the game up for you and some friends for just $7.49. The sale will end next Tuesday, May 29.